Hot days make them literally drop from their perch. Koalas don't do well in hot conditions. Each summer, photos of scruffy, heat-stressed koalas being given water or drinking from drains emerge. They're often connected to isolated events like a fire or a heatwave but a new report into regional koala populations in NSW warns we are seeing the first climate change impacts on koala distribution, while land clearing continues to reduce habitat. The report written by ecologist David Paull for group the Western Woodlands Alliance, found that of 97 local populations identified, only 10 were stable in numbers. 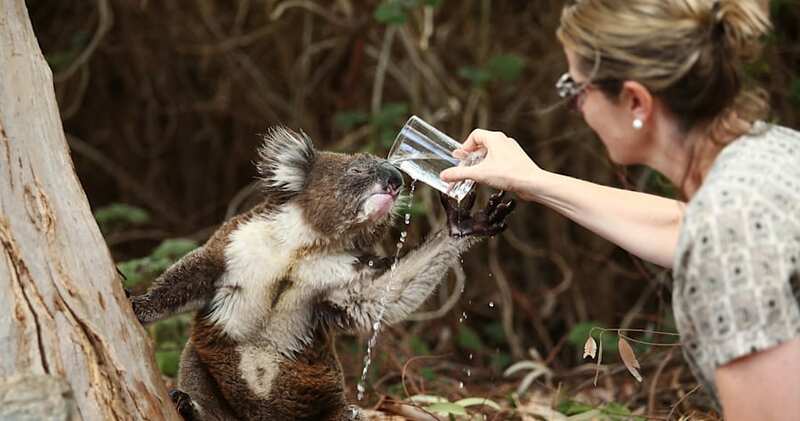 A resident gives a drink to a wild heat-stressed koala in her backyard in December, 2015 in Adelaide. Paull said they also mapped koala habitat in terms of national parks, reserves and private land. "Critically only 18 percent of the koala locations in the study area are in the current reserve system, while 64 percent are on private land," Paull said. "If an epic and tragic extinction is to be avoided, it's time to act. "Most are declining and may well meet the criteria for endangered under the NSW Threatened Species Conservation Act, others are already gone." On current trends, koalas will be extinct in the wild in NSW by 2030 while across Australia's east coast, koala populations dropped 40 percent between 1990 and 2010 -- which is three koala generations. 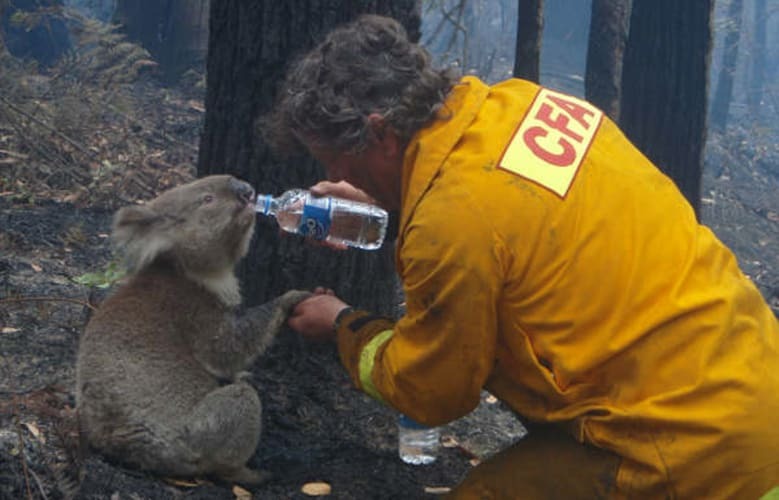 A koala is given a drink of water by a volunteer near Melbourne in 2009. In 2012, the Federal Government listed the NSW, Queensland and ACT koala populations as vulnerable under the Environment Protection and Biodiversity Conservation Act. They are not listed as endangered as there are some specific areas where they are abundant, and have been culled to stop overpopulation. A koala sits in a burned pine tree in Adelaide Hills. Paull and the alliance are calling for state and federal governments to make more land protected for the specific purpose of creating a koala park and provide substantial incentives for private owners with known koala habitats. "Inland koalas, which represent over half of the total remaining populations in NSW are critical to the survival of this Australian species," Paull said. "If we save the koalas we also save many other unique Australian animals also facing extinction."